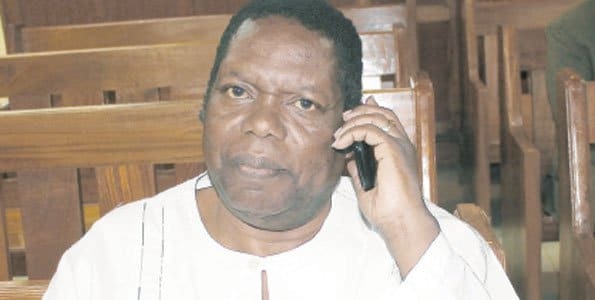 AFC Leopards goalkeepers coach Mathews “Ottamax” Owino has paid a glowing tribute to the late former Postmaster General Francis Chahonyo, who was reported dead on 25th June after a long illness. Ottamax hailed the former AFC Leopards chairman as among those who shaped his life alongside Mathare United boss Bob Munro and politician Peter Kenneth. It was during Chahonyo’s tenure at the helm of the Leopards in 1998 that the sleeping giant of Kenyan football last won the Kenyan Premier League. 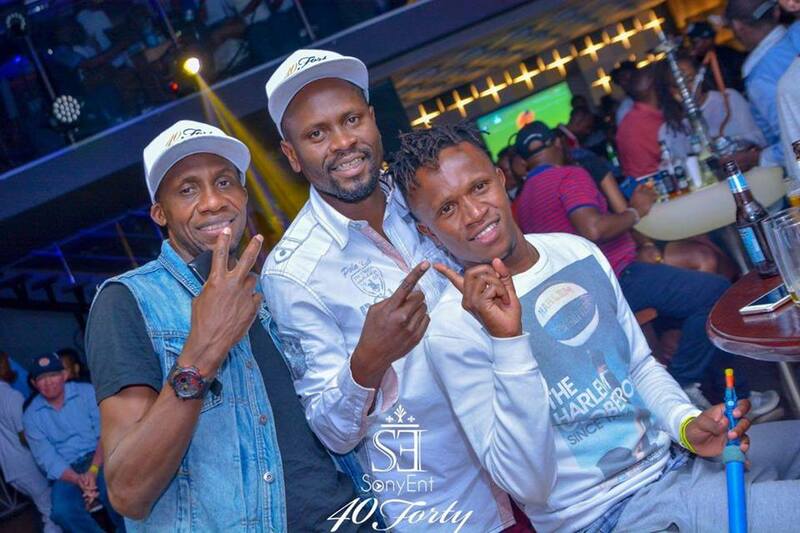 The club is now a pale shadow of its former self and living in the shadows of their arch rivals Gor Mahia, who continue to dominate the local footballing scene, but Ottamax believes Chahoyo’s demise can spur them to greatness again. Mr. Chahonyo hailed from Chavakali, Vihiga County. He will laid to rest Saturday. Below is Ottamax’s tribute to Mr. Chahonyo (edited with his full authority). Please allow me to eulogize Mr. Francis Chahonyo. Bob Munro, Peter Kenneth and Francis Chahonyo have a special place in my heart as my football Dads. Munro introduced me to international youth soccer at a very tender age, while Peter Kenneth saw the talent and the promising future in me and shouldered my education burden, employed me after school and even managed me in early adulthood to become a responsible citizen. But it is not about them today, it is about this special man with a golden heart, Mr. Francis Chahonyo. I met Franco, as we fondly referred to Francis Chahonyo, at a function I had gatecrashed sometime in December of 1997. It was a transition time at AFC Leopards and Franco was poised succeed Peter Leo Onalo (RIP) as the new chairman. Due to worries that the incoming Chair would not to afford my lavish lifestyle then, as he was relatively unknown to me, I wanted Mr. Onalo to release me. I had gotten wind that Nalo was on his way out and at the same time Gor Mahia were hot on my heels with an enticing offer. Upon hearing my request, Mr. Onalo rushed me for an introduction with Mr. Chahonyo; I was a strange kind of intro, and I quote, “this is Ottamax and he loves money,” Franco’s response was simple, “Hi, you can’t finish me,” he said, and I was quick to counter his claim by saying prove it to me. Boom! The new Chairman pats his jacket, dips his hand inside the jacket’s inner pockets and produces a thick wad of notes without counting, and hands it over to me. Without counting, I took off with a speed of a horizontal moving rocket. That was the start of good things to come. Chahonyo was not a person who would discriminate his “football children,” and as soon as he got into the team, he extended his love to each and every personnel, from the players down to the club’s stewards. A DADDY to me, he spoilt us as a team and we responded to his gestures by giving him crucial wins, and my memorable one was when we met our arch nemesis Gor Mahia early in the season. Gor had paraded the big names of Kenyan football then, while Leopards relying on young recruits, mostly from schools, like Mulama Simon, Austin Makacha, Austin Muhanji, Nicholas Muyoti, Bonface Ambani among many others. Against all odds, we out played Gor Mahia and beat them 2-1 with Gor’s consolation coming from Daniel Ogada’s controversial header late in the match. You have never seen a man so happy like our “Super Chairman” Francis Chahonyo that day, who later hosted the whole team, together with our wags – buying us a whole stock of drinks and food at the then high end Dumbusters Restaurant on Denis Pritt. That was my Chairman for you! Interestingly, one day I reported late for training and oops! Franco was there, he asked me why I was late and my sincere answer was that I had to wait for my Mama Totos to prepare food for me and since she was using a slow charcoal Jiko, it took quite some time for food to get ready. Do you know what? This instantly earned me a state of art four burner electric gas cooker alongside a 6ft refrigerator so that my food could be ready in good time and also get a place for preservation. That was Franco for you! I can comfortably write a novel or two about this great man abaout his first season at the helm of our great club AFC Leopards. On July 4, 2018 I sat on the pews of Nairobi Pentecostal Church, Valley Road with tears flowing freely down my cheeks as I listened to moving tribute after tribute even from toddlers, whom you would have expected not to have understood Mr. Chahonyo’s goodwill, but still they mumbled sensible and emotional good words about him over the microphone. More tears. Not only we as AFC Leopards fraternity but Kenya as a whole has lost a pillar, a father to many and a visionary leader who gave his all to see that we raised our standards in education, health and how we lived. Papa as you go to rest, your sons, Matthews Ottamax, Thomas Juma, Bonface Ambani, Mulama Simon, Aggripa Nyanje, Maurice Sunguti, Nicholas Muyoti, Fred Ambani the list is endless, we are living your dream, you set the bar high for us and we will not disappoint you, I believe each one of us is doing something positive in regard to how you brought us up with virtues. To those I have mentioned above plus the many others I have not, let us pull together and bring Leopards’ lost glory back in honor of our departed HERO and father figure Mr. Francis Chahonyo. He did it for us in 1998, let us do it for him in 2018-2019 seasons. Fare thee well Francis Mellops Chahonyo Misigo, forever etched in our hearts.